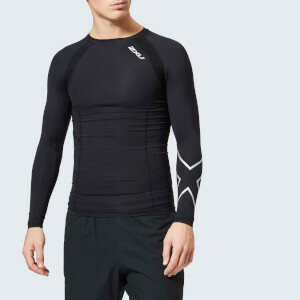 Men’s black compression tights from performance clothing specialists, 2XU. The ‘Accelerate’ compression tights are engineered to reduce muscle fatigue and soreness. Made from lightweight and powerful PWX fabric, the leggings feature multi-directional stretch to provide excellent support to your adductor, quads, glutes and hamstring muscles. 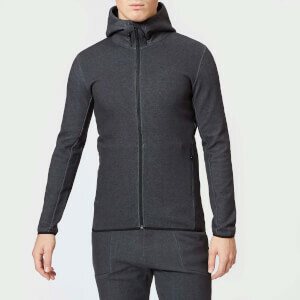 Moisture wicking yarns help you stay dry and comfortable during workout sessions. The compression tights have an antibacterial treatment to keep you feeling fresh and UPF50+ protects you from the sun’s harmful rays. The 2XU jacquard waistband sits flat for comfort and will fit under other gear as a baselayer. Complete with logo graphics to the legs and flatlock seams to prevent chafing. Front: 72% Nylon, 28% Elastane. Back: 65% Nylon, 35% Elastane.